June 2018 | What Should We Do Today? Find your local fireworks display or parade on this list of Columbus area 4th of July Celebrations! 10:30 AM – Kids Patriotic Themed Cupcake Decorating Class at Smidge and Pinch – kids 5 and up can learn how to make 5 patriotic themed cupcakes! 5:00 PM – July 4th Streetfest in West Jefferson – the Streetfest is open 5:00 PM – 11:00 PM on Monday and Tuesday, 12:00 PM – 11:00 PM on Wednesday. Fireworks are at 10:00 PM Wednesday! 6:00 PM – Old-Fashioned Fireworks at Clark County Fair – gates open at 6:00 PM, live music starts at 7:00 and fireworks begin at 10:00 PM. 9:30 AM – Independence Day themed Stroller Strides at Fancyburg Park – work out with your kids at an Independence Day themed Stroller Strides class! 10:00 AM – Handprint Firework Craft at Highbanks Metro Park – work out with your kids and afterwards kids can do a handprint fireworks craft! 12:00 PM – Red, White & BOOM! 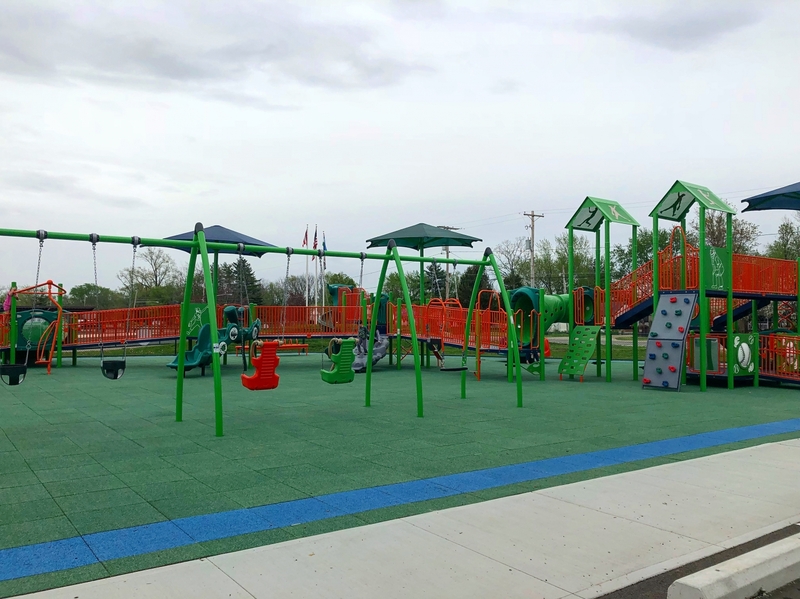 in Downtown Columbus – The Children’s Park is open 12:00 PM – 8:00 PM and features activities for kids of all ages, the Ford Oval of Honor Red, White & BOOM! Parade begins at 5:30 at the Main St. Bridge and heads north down Front St., Fireworks begin at 10:00 PM. There will be live music, vendors, food and more! 5:30 PM – Ballpark “Boom”! at Huntington Park – activities include inflatables, concessions, live music and a great view of the fireworks. Activities require a wristband and admission is $5 at the gate. 6:00 PM – Reynoldsburg Independence Day Festivities – includes carnival games, food vendors and inflatables. Fireworks begin at 9:45 PM. 7:00 PM – Johnstown Fireworks – festivities begin at 7:00 PM including entertainment and food vendors. Fireworks begin at dusk. 8:00 AM – Dublin Independence Day Celebration – includes a fishing derby, Inflation Celebration, parade at 11:00 AM, an Evening Celebration featuring Sheryl Crow and fireworks at 9:50 PM. 8:00 AM – Clintonville July Fourth – begins with a 4 mile run/walk, flag raising, pet and bike parade, a fishing derby, activities in the park and fireworks at 10:00 PM. 8:00 AM –Upper Arlington Independence Day Parade – the parade begins at Northwest and Zollinger and ends at Northstar. 9:00 AM – 2018 4th of July Parade in Marysville – parade steps of at 10:00 AM at American Legion park and continues through Marysville. 9:00 AM – Lancaster 4th of July Celebration – the parade begins at 10:00 AM from the Fairfield County Fairgrounds, from 12:00 PM to 10:00 PM there will be activities at the fairgrounds including live music, a donut eating contest, amusement rides, arts and crafts and more! The fireworks begin at 10:00 PM. 9:30 AM – Bexley 4th of July Celebrations – parade begins at 9:30 AM, the Community Celebration begins at 6:00 PM on the front lawn at Capital. Fireworks begin at 10:00 PM. 10:00 AM — Reynoldsburg Independence Day Parade – parade begins at 10:00 AM. 10:00 AM – Doo Dah Parade and Block Party – a block party happens from 10:00 AM – 7:300 PM at High and Buttles. Entry is free. Doo Dah Parade steps off at 1:00 PM. 10:30 AM – Gahanna Independence Day Celebration – parade begins at 10:30 AM at Clark Hall and Community Family Day will take place from 5:00 PM – 9:00 PM at Creekside Park and Plaza. There will be live music, vendors, activities and more. Fireworks launch at 10:00 PM at the Gahanna Municipal Golf Course. The viewing area open at 6:00 PM. 10:00 AM – Olentangy Community 4th of July Parade – parade begins at Olentangy Orange High School at 10:00 AM. 10:00 AM – Lancaster’s 4th of July Parade – begins at the County Fairgrounds at 10:00 AM. 11:00 AM – Northland Community Fourth of July Parade – parade kicks off at 11:00 AM at Morse and Karl Rds. 11:00 AM – New Albany Foruth of July Celebration – parade begins at 11:00 AM, Festival begins at 6:30 PM including family activities, food trucks and live music, fireworks begin at dusk. 11:00 AM – Groveport 4th of July Celebration – parade begins at 11:00 AM, children activities are from 1:00 PM – 5:00 PM, there will be live music and fireworks begin at dusk. 12:00 PM – July 4th Streetfest in West Jefferson – the Streetfest is open 5:00 PM – 11:00 PM on Monday and Tuesday, 12:00 PM – 11:00 PM on Wednesday. Fireworks are at 10:00 PM Wednesday! 12:00 PM – 4th of July in Hilliard at Roger A Reynolds Municipal Park – the annual 4th of July Parade begins at 10:00 AM and a full day of fun continues at Roger A. Reynolds Municipal Park including a digital scavenger hunt, food trucks and live music. The fireworks begin at dusk. 12:00 PM – 2018 Worthington Hills Fourth of July – parade begins at 12:00 PM and fireworks begin at dusk. 1:00 PM – Westerville 4th of July Celebrations – 1:00 PM – parade begins in Uptown Westerville, enjoy activities, live music and food trucks at Westerville South H.S. from 2:00 PM – 10:00PM. Fireworks begin at 10:00 PM. 3:00 PM – Delaware City 4th of July Celebration – Parade begins at 3:00 PM, The Central Ohio Symphony performs at 7:30 PM and fireworks begin at 10:00 PM. 3:00 PM – Plain City 4th of July Celebration – parade begins at 3:00 PM and fireworks begin at 9:45 PM. 4:00 PM – The Worthington Family Picnic and Fireworks – includes food, live entertainment, Supergames and fireworks at 10:00 PM. Also enjoy activities at McConnel Arts Center. 4:00 PM – July 4th Celebration in Pickerington – enjoy a parade at 6:00 PM, opening ceremonies at 7:30 PM, live music and fireworks at 10:00 PM. 5:30 PM – Party in the Park in Northam Park – Celebrate UA’s Centennial with a festival in the park! Fireworks begin at 10:00 PM. 6:00 PM – The Famous Fortress Fireworks at Fortress Obetz – gates open at 6:00 PM for food vendors, inflatables and games. Fireworks begin at 9:50 PM. 6:00 PM – Grove City Independence Day Celebration – gates open at 5:30 PM for free children’s activities, fireworks begin at 9:50 PM. Over 35 family-friendly events happening this weekend in Columbus Ohio! 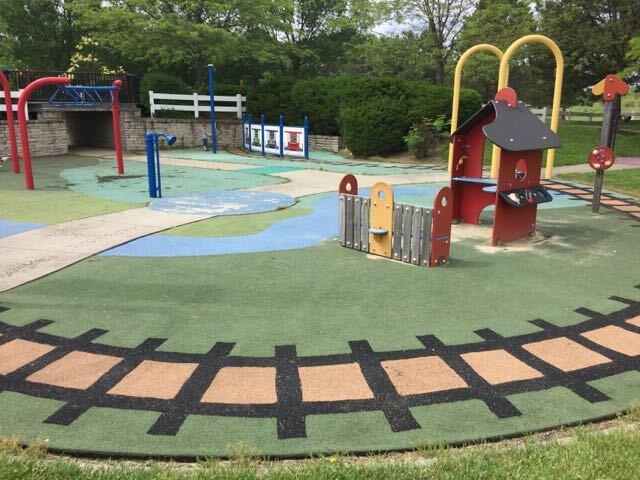 10:00 AM – Water Fun Stroller Strides Class at Highbanks Metro Park – workout with a water theme for you AND the kids! Your first workout with FIT4MOM is free!  10:00 AM – Commons for Kids at Columbus Commons – – this week’s event includes kiddie fitness, live music, a magic show by The Great Randini, OSU Urban Arts Space and more! See more about Commons for Kids here. 10:30 AM – KidX Summer Series at Polaris Fashion Place – enjoy free activities outside by the fountains at Polaris! This week’s theme is Chef Junior and Polaris restaurants will be hosting competitions and kids can meet professional chefs! See more about KidX here. 10:30 AM – Read it, Make it, Eat it – Elephant & Piggie Ice Cream Social at PARTY Like It’s Your Birthday – read the book and create two crafts and have a snack based on the story! Recommended for ages 2-5, $15 per child. 11:00 AM – From Book to Film at Gateway Film Center – watch a movie based on a book for free with your library card! This week’s movie is The Princess Bride and there are showings at 11:00 AM and 2:00 PM every day! 11:00 AM – Pop Tab Donation Day at Ronald McDonald House Charities of Central Ohio – The Ronald McDonald House will be collecting your pop tabs during a fun celebration that includes contests and games, food trucks and Brutus Buckeye! 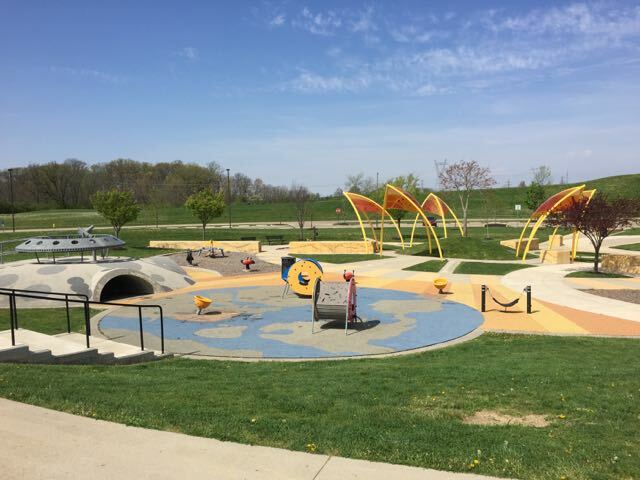 12:00 PM – International Mud Day at Blendon Woods Metropolitan Park – celebrate International Mud Day by playing in the mud in the Natural Play Area at Blendon Woods Metro Park! 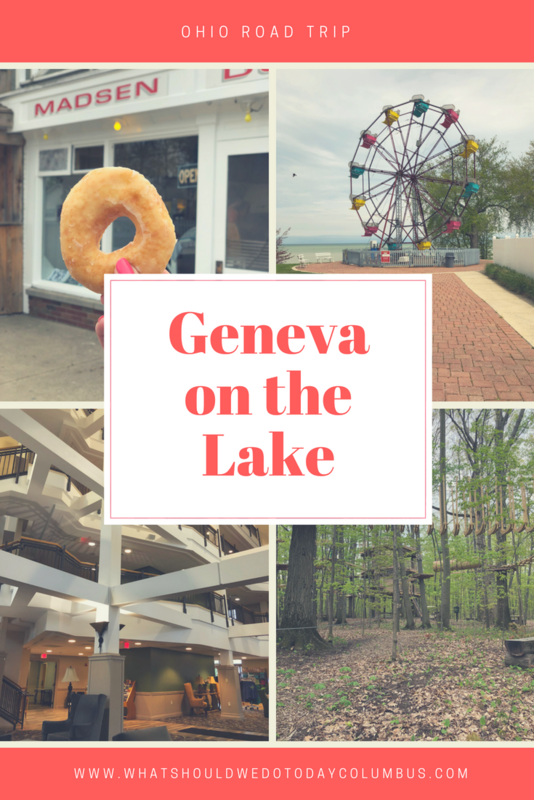 See all there is to do at Blendon Woods Metro Park here. 5:00 PM – Family Friday Night at COSI – on the last Friday of the month COSI stays open until 9:00 PM with reduced admission! Admission is $15 for adults and $10 for kids. 7:00 PM – The Little Mermaid Jr. presented by Summer Theater Workshop – watch a free performance of The Little Mermaid Jr.! Performances are 1.5 hours long and take place June 29 at 7:00 PM, June 30 at 2:00 PM and 7:00 PM, and July 1 at 2:00 PM. Donations are accepted at the door. 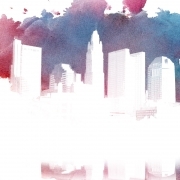 7:00 PM – Popcorn Pops: Super Heroes Soundtrack at Columbus Commons – dress as your favorite super hero as the Columbus Symphony performs super hero theme songs! There will also be a costume concert and a free movie follows afterwards. This is a ticketed event. 8:15 PM – Free Movie Night – Willy Wonka and the Chocolate Factory at Columbus Commons – watch this movie for free at Columbus Commons. Note: the park will be closed to the public until 8:00 PM for Popcorn Pops, a ticketed event. Movie begins afterwards. 8:30 PM – Family Movie Night: The Lion King in Weinland Park – watch a free movie in the park! Bring your own chairs and blankets! 8:30 PM – Friday Night Flicks: Beethoven at Sycamore Park Amphitheater – bring a blanket and chair for this free movie that begins at dusk! 7:00 AM – Ridge Runner Ramble – this bike ride to benefit Homeless Family Foundation can be done for 25, 50 or 80 miles or you can do a 3 mile Family Ride! There will be food, music and raffles! Family ride starts at 10:00 AM. 9:00 AM – 5th Annual Chloe 5K Run & Stroller Stroll – help support young moms in Franklin County by participating in this 5K and Stroller Stroll! FIT4MOM will host a pre-race workout and ZUMBA will host a post-race workout! 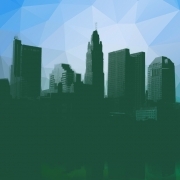 9:00 AM – Grand Opening & Smart Mobility Block Party at the Smart Columbus Experience Center – celebrate the grand opening of the Smart Columbus Experience Center with a block party! There will bell kinds of vehicles on display, music, food, entertainment and more! 9:30 AM – Crafty Independence Day at Grove City Library – drop in between 9:30 AM and 6:00 PM to make a patriotic craft! 10:00 AM – Hilltop Bean Dinner in Westgate Park – celebrate the significance of the Hilltop in the Civil War with live music, a bean dinner, food vendors, craft vendors and an antique car show! The whole neighborhood will also be having yard sales beginning at 8:00 AM! This event is one of my 35 Free Things to do With Your Kids This Summer in Columbus! 10:00 AM – Patriot’s Day at South Columbus Preparatory Academy – meet Olympic medalist Butch Reynolds and former Buckeye wide receiver Dee Miller, enjoy food, snow cones, music, a petting zoo and more! 10:00 AM – HOOT 88: Ice Cream at Gateway Film Center – enjoy activities for kids in the lobby before watching family-friendly short films from around the world and enjoying music by the Shazzbots! This month’s theme is Ice Cream! See more about HOOT activities here! 11:00 AM – The Great Escape Outdoor Inflatable Bounce House Carnival at Delaware County Fair – enjoy a wide array of bounce houses including waterslides and sporting matches taking place in a full length inflatable court! There will be food available for purchase. 11:00 AM – Luau Party at Putt N Play Family Fun Center – enjoy a beach theme with music, games, prizes and more! 11:00 AM- Fenlon Five Year Celebration at Easton Town Center – celebrate 5 years of Fenlon Squre with games, treats and prizes! 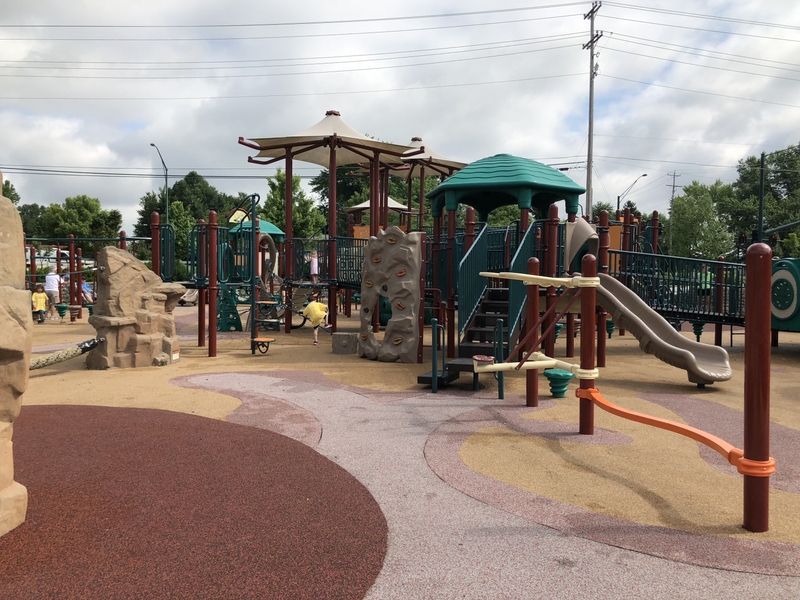 11:00 AM – Playdate on the Playground – check out the new playground at Kiddie Academy of Hilliard, play in bounce houses, enjoy face painting, free food, balloon twisting, clowns and more! 12:00 PM – Summer Fest at Fresh Thyme Farmers Markets – stop by any of the Central Ohio Fresh Thyme locations for an outdoor market, brats on the grill, live entertainment, samples and more! The link is for Worthington but this event is happening at the Westerville, Worthington and Columbus locations. 12:00 PM – Young Entrepreneur Bake Sale at Smidge and Pinch – come support the young bakers at this bake sale put on by bakers age 8 and up by buying their yummy treats! 2:00 PM – First Responder Appreciation Day at The Point on Main Street – celebrate our first responders with food and drink specials and live music! Process benefit the First Responder Face-Off Foundation and their Hockey Helping Heroes initiative. 2:00 PM – Block Party in the Short North at High St. and 1st Ave. – businesses in the Short North are pretty excited about having their sidewalks back! Celebrate with them with free samples, giveaways, sales, music and more! 3:00 PM – Disney Movie Saturday at Westland Library – watch a G rated Disney movie with free popcorn! 4:00 PM – 2018 Olentangy Summer Bash at Olentangy Braves High School – this celebration includes live music, fireworks, a Family Fun Zone, Teen Zone, food trucks and more! 5:00 PM – Grandview Hop – Grandview’s sidewalk market takes place 4 times a summer and this Saturday is one of them! Enjoy art, food, live music, hand crafted goods, ice sculpture carving, and more! 7:00 PM – E-Flat at Rule 3 – enjoy music by local jazz band E-Flat, games for the kids, food and bowling! No cover charge. 9:00 PM – Saturday Late Night Fishing at Prairie Oaks Metro Park – fish Darby Bend Lakes and Beaver Lake at night! 7:00 AM – Creative Ice Cream Flavor Day on the Hilliard Ice Cream Trail – Destination Hilliard has created the Hilliard Ice Cream Trail with six Hilliard businesses within a mile and a half of each other! Pick up your passport at one of the participating shops and purchase an ice cream treat to receive a stamp. Take your completed passport to Coffee Connections to receive a commemorative draw string bag! 10:00 AM – Community Days at Franklin Park Conservatory – on the first Sunday of each month, residents of Franklin County and the City of Columbus get free admission to the Conservatory. Must have a valid ID. See the amazing new Children’s Garden at Franklin Park Conservatory here. 10:00 AM – Independence Day at Ohio Village – celebrate an old-fashioned Independence Day with music, dancing, an Ohio Village Muffins base ball game, a pie eating contest and more! 2:05 PM – Bob Evans Family Day at the Columbus Clippers vs. Indianapolis Indians – Family Day Admission is $15 for two adults and up to 4 youth. Kids can run the bases after the game! 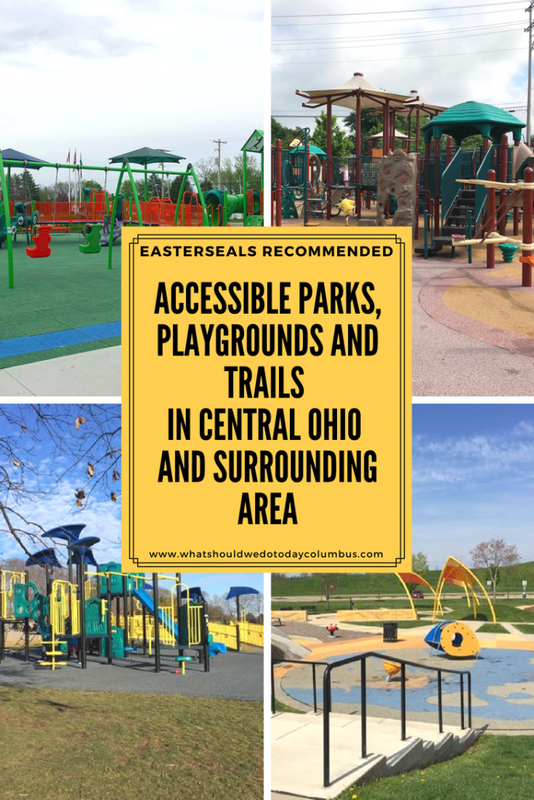 I’m excited to collaborate with Easterseals Central and Southeast Ohio to share this list of accessible parks, playgrounds and trails around Central Ohio! 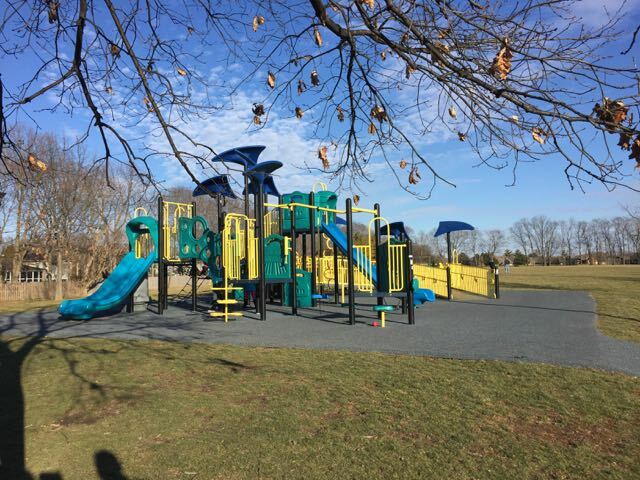 Tanglebrook Park – behind Fire Station 201 off Grove City Road. 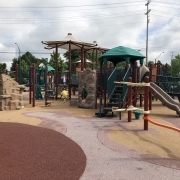 See a complete list of Columbus Recreation and Parks Department Parks here. Thanks to Easterseals Central and Southeast Ohio for collaborating on this post!